The Black Stars will have another opportunity to battle the rest of Africa in search of continental triumph which has eluded them for over 3 decades now. They are expected to compete with defending champions Cameroon, Benin and Guinea Bissau in the Group phase of the tournament which will kick start in June. 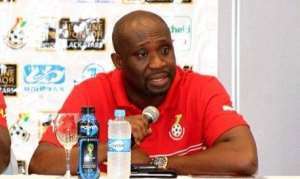 Speaking with Joy FM on the sidelines of the official draw in Cairo last Friday, the formal vice president of the Ghana Football Association (GFA) indicated that coach Kwesi Appiah must continue to scout for players until the end of the European football season to ensure he comes up with the right squad for the 2019 AFCON.